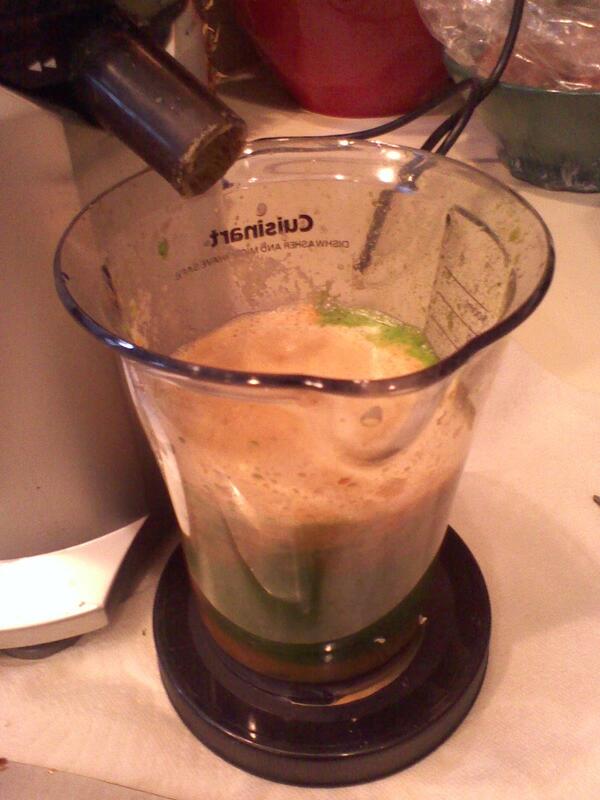 i decided to try something totally different – a 7 juicing fast using just fruits and vegetables as my source of nutrients. why juicing? well, after watching Fat, Sick and Nearly Dead by Joe Cross, i rediscovered juicing (although i have been juicing since my 2 Week Detox plans i do with my clients several times per year) with some new recipes. i wanted to do a program with my clients with just juicing, but decided i needed to try it first before i unleash a new program. not everyone is ready for a juicing fast. and i wonder if i will make it 7 days or if only the 3. for me, i have a very clean diet so i have not really experienced the detoxing that many would experience on this plan. the next few days will document some of my experiences with the juicing in hopes to make it easier for others to do as well! on day 1, i did manage to do my juicing only diet but found i had to juice every 90-120 minutes as i could really feel the blood sugar fluctuations – and every time the blood sugar dropped, i would feel a bit light headed and not able to concentrate. another juice, and i was good to go for another few hours. i am also making some flatbreads with the pulp so i feel i am not wasting those nutrients, although i compost the rest so bugs will be very happy! this plan requires a lot of planning. you cannot just wing it. you need to buy enough vegetables and fruits to last a few days. i wash them all after i return home so when i juice, i can just grab and go rather than wash them right before i use them. this makes it one step easier. i also like the fact i found 20 some recipes to use, so i have variety in my juicing, too! some savory, some sweeter. i know if i use just fruit juices, i will spike that blood sugar and will crash pretty hard 90 minutes later, so i add only 1 maybe 2 fruits and use mainly green leafy veggies for nutrients and some root vegetables – beets, carrots, turnips or sweet potato. i only had a headache at the end of the day, and decided i needed to make something before i head ot bed or i may not sleep, or i may wake up hungry and i know i did not want to wake up and make a juice at 2 AM! so i made a small juice with 1/4 red pepper, 1/2 cucumber, 1/4 onion, slice of lemon and a turnip. it did the trick although not my favorite juice! i did wake up at 3 AM though – to go pee. yes, this is a down side or maybe an upside? i was peeing pretty much every 90 minutes. juice, pee, juice, pee. i guess that is how the body works! and yes, i did have chocolate. had to have it and was not going to deprive myself of that just because of this juicing fast. and yes, i had my morning mete/coffee blend, too which is another thing i just could not give up this time around. but it is liquid, right?? and yes, there were times i wanted to eat. oh, i was soaking the nuts for the flatbreads, and i just wanted to eat a handful! but i did not. i also added 2 tablespoons of Mila Chia seeds to one of my juices – figured i would need a bit of those essential fatty acids, natural protein and fiber. it did help with satiety which is also another reason i did that. one thing i found with this juicing fast, is that i am more cold than usual. not sure what that is from, but i am wearing a few more layers than i normally would just to keep myself warm. and yes, i am still exercising during this fast as that is something i love to do! but i know i should not be doing anything too challenging like hill repeats or interval work as i will be more hungry although i will just need to juice more! and use a few more fruits in my recovery juices. i have also been adding a tablespoon of Vega Sport vegan protein powder in those recovery meals so i can guarantee i get my protein needs. i know this is not fully recommended, but i know it is something i should do just to get some additional protein and enable my recovery, too. i am also sleeping longer – had an extra hour this morning but if i need it, i need it. i am not going to fight it. this is a time to listen to the body. it will be interseting to see if i dream more if i do this for 3+ days and i surely cannot wait til the part where the hunger subsides as they say on day 3! but will i make it to day 3?? off to ride now, and more groceries later today as i won’t have enough for day 3 if i don’t! and yes, i did lose 2 pounds yesterday. although the scale did not indicate that in the day time, i stepped on the scale this morning to see 2 pounds lost. and my body fat is down, too so i am not losing muscle. i will do a BIA (BioImpedence Analysis) test after 3 days and compare it to what i had last week and see what improved or did not. it will be very interesting!